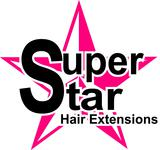 Hairdreams® has been a worldwide leading provider of real hair extensions for many years. The Hairdreams philosophy includes a strict quality orientation. Only absolutely healthy, thoroughly tested hair passes the stringent Hairdreams quality control and is subsequently gently refined. The result: excellent hair quality, which in the meantime has become the Hairdreams “trademark”.